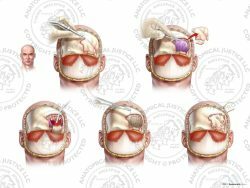 This exhibit features two color coded illustrations of the head depicting the effects of a nail penetration injury. 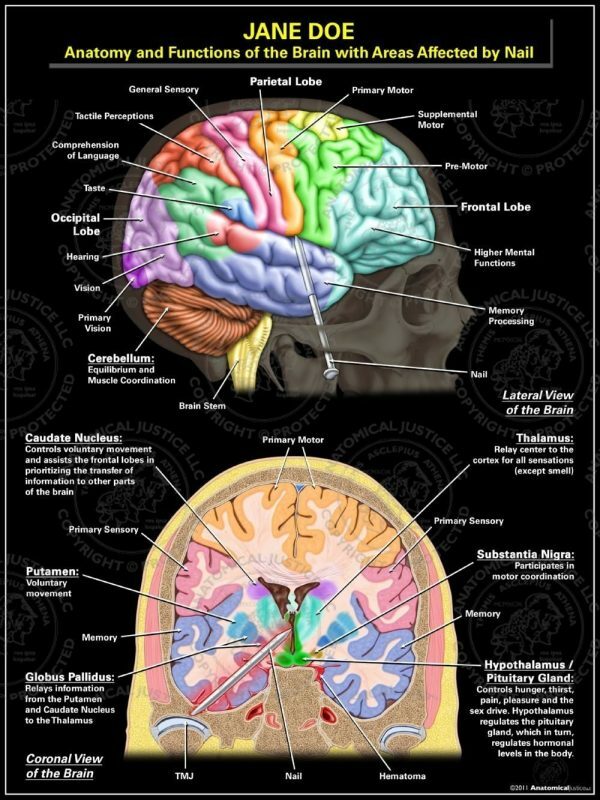 The top illustration shows a lateral view of the punctured brain with labeled anatomy and functions. 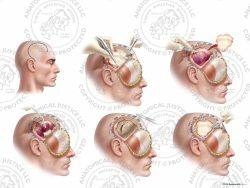 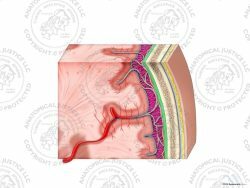 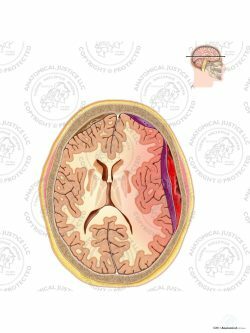 The bottom illustration shows a coronal view of the head with focus on the internal anatomy of the brain, depth of impalement, and resulting hematomas.